From De Bethune another horological marvel: the DB16 Tourbillon Regulator. 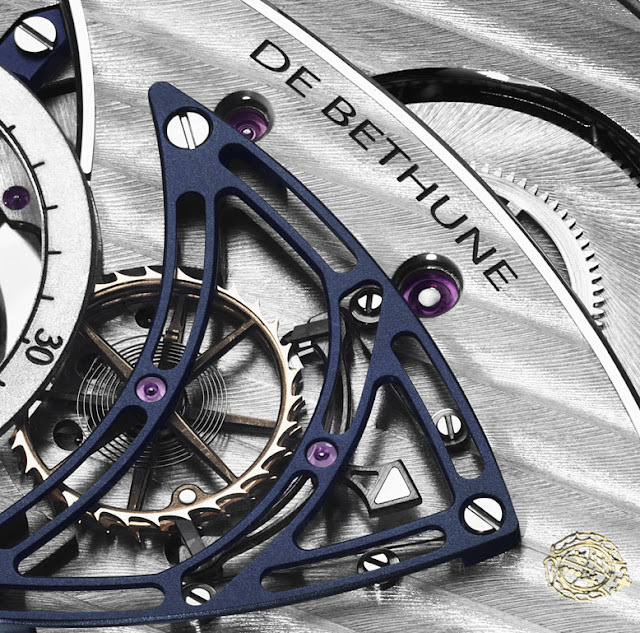 The classic De Bethune case with its cone-shaped lugs houses the mechanical hand-wound DB2509 calibre with a 4 day power reserve. 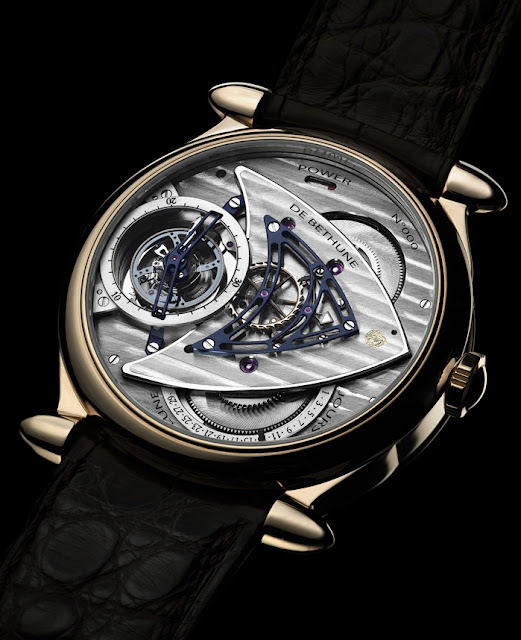 The movement is built around a 30” tourbillon in silicon and titanium, beating at a rate of 36,000 vibrations per hour, one of the fastest and lightest in the watch industry comprising 57 parts weighing a total 0.18 grams. This technical feat creates a strong contrast with the jumping seconds mechanism composed of a twin lever with four pallets driving two gold wheels marking off time. 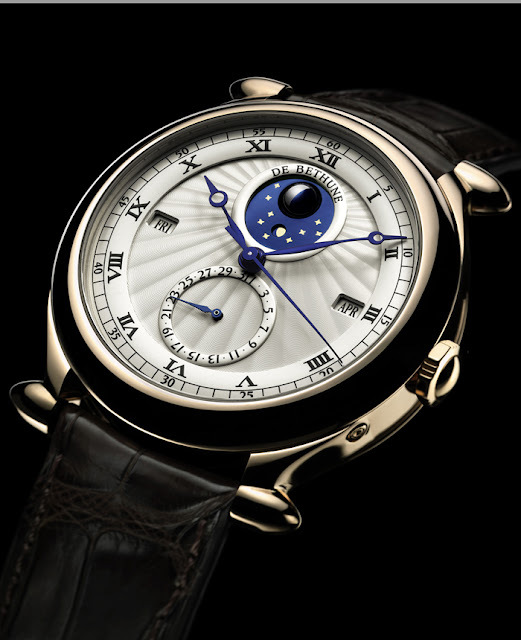 This movement is also equipped with a power indicator, a seconds indication, and a retrograde moon-phase indicator that facilitates setting the moon to the exact date. 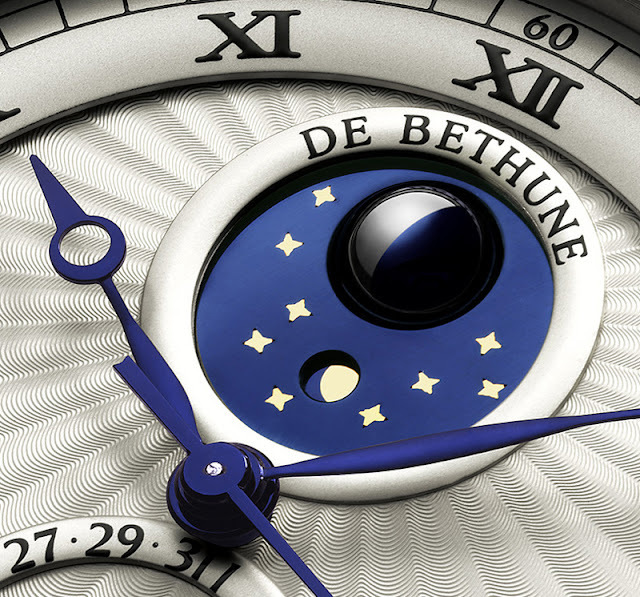 The perpetual calendar and moon-phase displays on the dial are enhanced by the De Bethune’s characteristic silver-toned guilloché pattern. The apertures at 9 o’clock and 3 o’clock indicate the date. At 12 o'clock the sensational spherical moon-phase and leap year indication. The pink gold case has a diameter of 43 mm with a thickness of 13.13 mm. The DB16 is supplied with an alligator leather strap with pin buckle.